Sweet, refreshing, and beautiful red color. This fruit can be very tasty to eat in hot weather. Not even refreshing, the benefits of watermelon is also a lot. 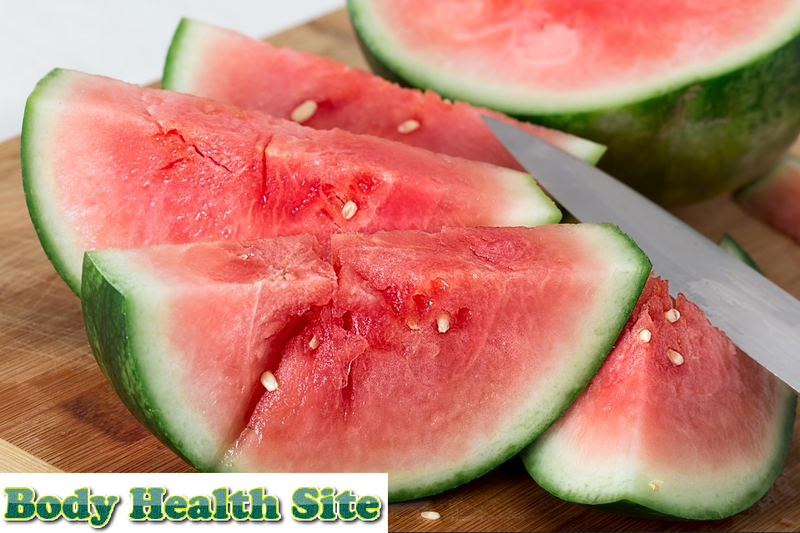 With the nutritional content of watermelons, this fruit can remove toxins in the body. Watermelon contains enough water to about 91%. However, that does not mean that water reduces the benefits or other vitamins contained in the watermelon. Watermelon still contains enough minerals, vitamins, and even antioxidants that the body needs. Not only that, but watermelon also includes low calorie, which is 30 calories in 100 grams of watermelon. Here are the various benefits of watermelon that I missed. In addition to rich in water, contained in watermelon including vitamin C, antioxidants, selenium, and zinc mineral that helps muscles to relieve pain and stiff muscles. Therefore, watermelon is good for people with arthritis. Even according to research, this fruit is also good for athletes. Where watermelon can increase recovery time on muscle pain experienced by athletes after undergoing exercise. This is thought to be due to the amino acid L-citrulline contained in the watermelon. Watermelon contains enough vitamin C, vitamin A, and antioxidant lycopene needed by the body. Antioxidants can help the body fight free radicals that can cause cancer. In fact, in 152 grams of watermelon, there are at least 9 to 13 mg lycopene, more than the body needs (about 10 mg per day). Lycopene itself serves to reduce the risk of prostate cancer. Not only good for health, but wat watermelon with the content in it can also beautify the skin and hair. This is because watermelon contains many vitamins and minerals needed by our body. The water content contained in it can help the body well hydrated, so it is expected to maintain healthy skin and hair. As well as vitamin C that can help the body produce the collagen needed for the structure of hair and skin. There is at least 21% vitamin C in 152 grams of watermelon. In addition to vitamin C, watermelon also contains vitamin A needed for the growth of body tissues, such as skin, hair, and help the production of sebum to keep the hair moist. This beautiful and refreshing fruit also contains choline which not only can help the transmission of nerve impulses but also can reduce chronic inflammation. In fact, the content of choline in it can also help the absorption of fat, maintain the structure of the body's skin cells, is expected to be good for memory, and improve learning ability. In addition to some of the above benefits, other watermelon benefits include to prevent asthma, good for blood pressure, prevent dehydration, and prevent constipation. Put watermelon at room temperature, then the content of lycopene and beta-carotene will increase. Research shows that watermelons placed in the refrigerator will be easier to decompose than that placed at room temperature. Even the beta-carotene content can increase up to 139% and lycopene increases by 40%. Beautiful, sweet, refreshing, and contains the nutrients needed by the body. That's why it's a shame if you remove the watermelon from the daily menu list and waste the benefits of watermelon as above. Start preparing the watermelon as one of the fruits you consume each day. 0 Response to "Sweet and Nutritious. Do not Miss Watermelon Benefits"